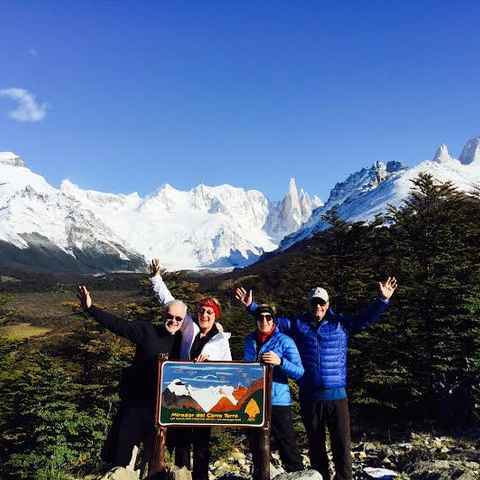 Australis cruises sail between the southern Patagonian port cities of Punta Arenas and Ushuaia, connecting Torres del Paine National Park and Tierra del Fuego. These all-inclusive luxury voyages take you through the Magellan Straits, and the Beagle Channel, visiting penguin colonies, and disembarking at Cape Horn. Vessel - Australis cruises sail aboard 2 different vessels: Stella Australis and Ventus Australis. Each is identical, but Ventus is newer and only came into service in Jan 2018. Both are very comfortable vessels with around 200 person capacity, excellent food and service. Route - Choice of a one way trip between Ushuaia and Punta Arenas (4 nights), or a round trip of 8 nights. 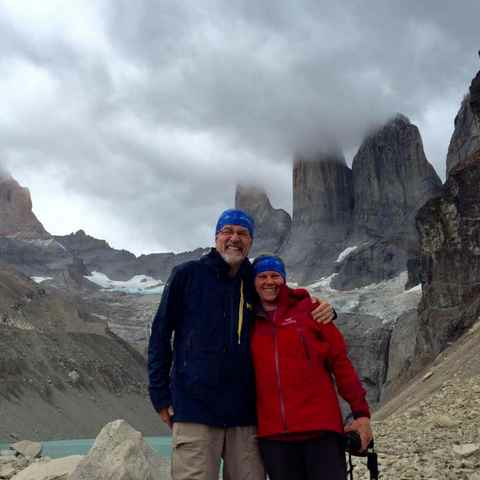 A great way to cross the border and connect Torres del Paine with Tierra del Fuego. Excursions - Australis offer a great combination of glaciers, wildlife and Cape Horn on most of their trips, with land excursions via zodiac boat and the option to take challenging or relaxed hikes. Timing - These cruises start operating in late September with the last departure in early April. Weather is good throughout this period, but bear in mind that the penguins will not be visited in September and April. Cost - prices start from $1,440 USD per person for the cheapest cabin type on a 4 night trip in low season, up to around $7,000 for the biggest and best cabin types on 8 night trips in high season. These cruises are ideal for people looking for varied excursions combined with excellent comfort and service aboard a small vessel that can access and remote channels of the Patagonian Fjords. I was blown away at the thoughtfullness that went into the experience and the level of service and consideration towards the guest. I greatly appreciated the historic/informative talks and movies, and the onship library was a treat. Our cruise was really lovely. We learned a lot from the onboard lectures- about glaciology and also the history of the Yamana people. We enjoyed the zodiac excursions, we usually took the “easy” option because it came with more educational time. The staff were very gracious and helpful. The cruise on Australis was fantastic. Our friends swore up and down that they hated cruises, but Australis won them over, easily. We particularly appreciated Chloe's suggestion to add the Australis cruise - brilliant choice. I wanted to let you know all four of us had the BEST TRIP imaginable over 6 gorgeous weeks. Our trip was phenomenal, A++. It was the best trip of our lives. This interactive Google map shows the landmarks that are visited on adventure cruises in Tierra del Fuego. We took a zodiac onto the shore right beneath one of the glaciers. It was the first time I'd ever been so close to one - it was incredible. With a great crash, the glacier calved and we all dashed back up the beach as the wave rushed acrosss the lagoon towards us. We work with 10 different cruise, small boat, and sailing companies throughout Patagonia, offering a range of trips, each with it's own focus. We know each and every one of them inside out and love helping people to find the best one to suit their plans, interests and travelling styles. People often want to combine a cruise, small boat trip or sailing adventure into a longer 2-3 week itinerary. We'd be delighted to help you work out which regions offer the types of experiences you're looking for, and the best ways in which to combine them and make the best use of your precious travel time. If it's just a cruise, small boat or sailing trip that you want to book, but you'd like some help managing the logistics of getting to the right place at the right time, and arranging suitable accommodation and transport, just let us know.